Hannah Arendt, Reflections on Violence, The New York Review of Books, February 27, 1969. Fassin, Didier, “The Trace: Violence, Truth, and the politics of the Body”, Social Research, 78:2, 2011, pp: 281-298. The Tibetan region of Ngaba (Ch: Aba) in Sichuan province is engulfed in a wave of self-immolations by young Tibetan monks and nuns. At the time of writing, twenty-five cases have been reported and immolations have spread to other Tibetan areas. 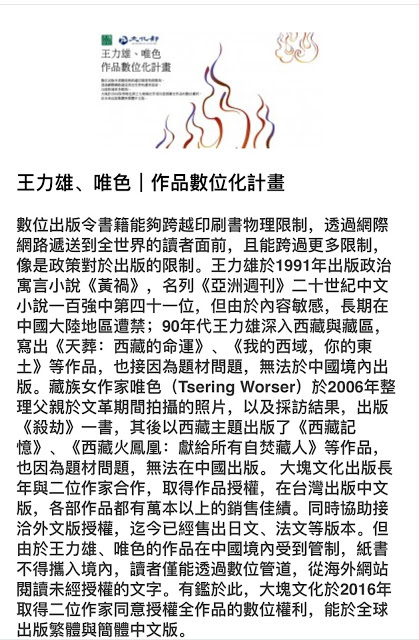 The latest report is of a monk setting himself on fire in Rebkong (Ch:Tongren), Qinghai Province. Why are such actions happening? What are the causes and motivations of those involved? Self-immolation as a form of public protest, new to Tibet, demonstrates that many Tibetans have embraced the narrative of “self sacrifice” and have come to see it in the context of the resurgence of Tibetan nationalism. After all, giving one’s body is one of the key modern idioms of nationalism: the conflating of body and nation. Like suicide bombing, self-immolation cannot be explained by individual motivation. Yet, in contrast to the latter, self-immolation is not an act of terror and is seen instead as self-inflicted pain that causes no damage to others; it is seen as a horror intended to induce empathy. For co-nationals and the religious, the act is a statement of faith and identity; the former are quick to embrace the self-immolators as martyrs. Their act provides symbolic capital; it speaks of injustice from the perceived perpetrator to those in power. It is an act that is meant to coerce concessions. But in China, as in all authoritarian regimes, it is unlikely to lead to such an outcome, since the acts of self-immolation are like hunger strikes to the authorities. They are tantamount to blackmail. In the case of Mohamed Bouazizi, a street vendor in Tunisia, self-immolation was neither intended as a religious expression of virtue nor as a spark to ignite the Arab Spring. It was a disavowal of authority and of state inscription over body and life. Ever since the monk Thich Quang Duc self-immolated in 1963 as a protest against what he considered to be the anti-Buddhist stance of the Vietnamese government, the act of self-immolation has entered the global vocabulary of politics and protest, where it is imitated and appropriated by those with grievances and reasons to fight perceived injustice. For the Tibetans, self-immolation is invested with emotion and is deemed necessary in the absence of other options for expression. It becomes a sign of life and demonstrates one’s existence against the might of the Chinese state. Self-inflicted violence is a symbolic gesture of the will to survive and resist coercive transformation of body and space. Ironically, sacrifice as a political act is something the Chinese Communists introduced to Tibet. It is a residual effect of Lei Feng, the model soldier of the 1960s who was the most famous exemplar in a campaign that called on all citizens to dedicate themselves totally to the nation. 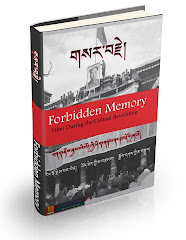 In Tibetan history, there is no tradition of sacrificing oneself for one’s nation or religion; this is an alien concept that Tibetans now have appropriated from the language of resistance coined and championed by the Communist Party. There is no Tibetan term equivalent to the English word “sacrifice.” Tibetans struggle to find appropriate terminology to express this concept, having no easy way to convey the sentiments it embodies. The closest term used recently for self-immolation in the sense of an act of sacrifice is “rang srog blos btang” (giving up one’s life), but this does not have a sense of offering oneself for a greater cause. Nor does the Tibetan term lus sbyin, meaning “offering of the body,” which is used for the Buddha’s offering of his body as alms. The offering of the self as religious gift holds no connotation of protest or disavowal. Thus, the search for new terminology reflects the shifting nature of political discourse among Tibetans and its permeation everywhere by the global language of protest and resistance. 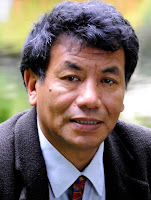 There is a sense amongst the Tibetans of the impossibility of change under the current regime, bent as it is on economic and resource extraction and subjugation. The lives of monks and nuns are seen as incongruous in modern China, economically unproductive and refusing to fit into the current state’s neo-liberal belief that market capitalism and consumption will liberate everyone. Since the beneficent exemption of minorities from the one child policy is irrelevant for them, their lives negate the biopower of the state, and they therefore are subject to surveillance and particular kinds of discipline that must bend their subjectivity to the will of the state. As a monk once described it to me, the disciplinary strictures of the state are as futile as a potter making a bottomless vase. Beneath all other questions is this sense of the “impossibility of making a meaningful life.” This impossibility is the root cause of the self-immolations in Tibet today.